The Lamington National Park is just 1 1/2 hours outside Brisbane, but you wouldn't know that the city is so close - it feels a world away. The drive up there is spectacular - along a road full of hair pin bends ending with a 10 minute drive dodging trees on a sealed road through virgin forests. 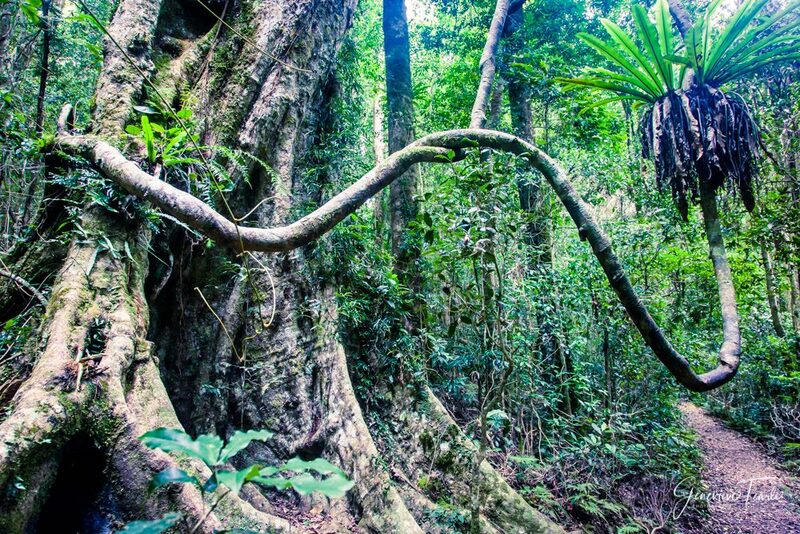 Lamington is part of the UNESCO Listed "Gondwana Rainforests of Australia World Heritage Area". There are many walks in the park from O'Reillys hotel, including the relatively short (3.1km) Python Rock track with its incredible large trees, and stunning lookout over the valley.